This is a short biography on the American war time president, Woodrow Wilson, often said as one of the greatest presidents to have occupied the Oval Office. I had known about Woodrow Wilson only for a few things; popular president, president during First World War and floated the idea of The League of Nations, and of course, a beneficiary of the Taft-Roosevelt struggle in the Republican Party. The book starts with Wilson’s background; born in the Southern States with his father being a supporter of the Confederate regime during the American Civil War. It then goes on to talk about his academic accomplishments and his career as an academic and the reforms he introduced at the university now known as Princeton. It also talked about his progressive stance on various issues including his absolute belief in democracy and the need to liberate people (ironically, it took him a long time to support the women’s suffrage movement and endorse their right to vote). The book also talks about his family and how, during the days when he was ill, his wife, Edith had de facto (debated) control over the Oval Office. The book also touches upon how Wilson was forced into war, though; he was against war himself and talks about his forming of The League of Nations (where, ironically, US didn’t join because of Senate opposition). 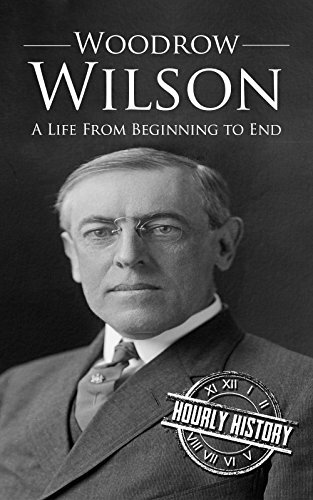 I was glad that I picked up the book on Wilson so that I have some knowledge on the person touted to be one of the greatest presidents of US and I felt the book did a good job in summarising his entire life in a short biography (to be honest, it took me more than an hour). Wilson’s policies and convictions were brought out well during the book and the period of his sickness where the allegation of the First Lady running the government was also elaborated in fair detail. My only possible problem with the book was the introduction; I believe the book was launched on 27th January, 2017 since that is the date I received it from Hourly History; however the book talked about potential of a woman becoming the President for the first time in 2016 election; seven days after Trump had taken the oath of office; the least that could have been done was to edit that part. On the whole, for a detailed summary in a short book, I would award the book an eight on ten. 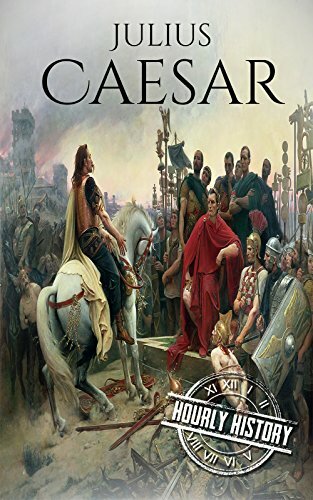 This is a book from the Hourly History series focusing on the famous Roman politician who eventually became a dictator of the huge empire. Most people would have heard a bit of Caesar because of the month July and also because of Shakespeare’s famous play. However, there are so many aspects to Caesar apart from what was showcased by Shakespeare and this book starts with his entry into the Roman senate (yes, Caesar was a politician; Rome was a republic) and how he managed to consolidate power by his successful campaign in Gaul leading to the eventual formation of the famous triumvirate between Pompey of Iberia, Caesar of Gaul and Crassus of West Asia. 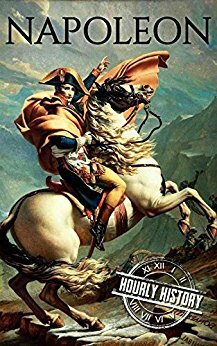 The book also the talks about the eventual civil war between Pompey Loyalists and Caesar and the latter’s subsequent campaigns in Egypt and North Africa and also about his eventual fall. The book also talks about some of the reforms brought about by Caesar such as the calendar; the effect of which is felt till date. Julius Caesar is a personality whom nearly everyone has heard of but know very little about mainly owing to the very limited scope of Shakespeare’s play and yes, I was no exception to this and I am really glad that I read this book considering how; reading this, I also got to know about the political system in Roman Empire and how they managed to hold on to such a large empire during ancient times. The campaigns of Caesar and also his unusually merciful attitudes towards his political dissidents were also brought out quite well. The book also had a brief mention of Caesar’s famous aide Mark Anthony (again, made famous by Shakespeare) and as to what exactly was his role prior to giving his highly emotional speech. The book also touched upon other famous people made known to the world such as Cleopatra and Caesar’s role in giving her the powerful role in Egypt (to be honest, I first came to know of both these historical figures through Asterix). Ultimately, the book also delivered on its promise on telling the history of Julius Caesar in an hour. The only aspect upon which the book could have been a little better is to have mentioned a little more about another person made famous by Shakespeare; being Brutus, who barely had a mention in the book. On the whole, I thoroughly enjoyed reading the book especially considering my knowledge of pre-medieval history being limited; this book conveyed a lot of information in a short span of time. 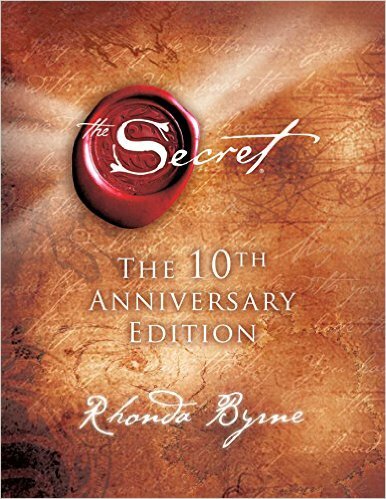 I would award the book a rating of seven on ten. 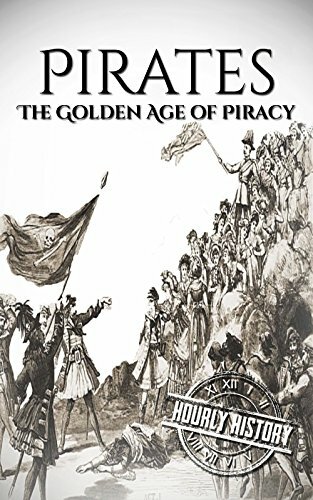 This book from the Hourly History series deals with the Golden Age of Piracy during the Seventeenth century. Pirates have been had a cult following owing to films such as Pirates of the Caribbean and Captain Jack Sparrow but very few people are actually aware of what was the lifestyle that pirates went through. The book starts by explaining how piracy began, mainly in the Caribbean and yes; Pirates were people with a very dangerous life with very high income but a very short life and normally, most used to end up on the noose. However, the book talks about certain pirates who survived the noose and a successful subsequent political career such as Henry Morgan. It also talks about certain famous pirates such as Blackbeard and the origin of the flag of Jolly Roger. The book finally talks about Pirates in other parts of the world and present day piracy mainly in the Horn of Africa. The book did touch upon a subject that is not very well known and yes, the fact as to how certain regimes used the pirates as sea mercenaries, especially, the English during the Spanish Armada. The book also mildly touched upon the lifestyle of pirates and yes, I liked it as to how the book also talked about the etymology of the term buccaneer and also about pirates in other parts of the world such as the Mughal Empire and the Ottoman Empire. However, I felt that this book lacked a proper sequence and went back and forth in history during the Golden Age of Piracy and also the fact that some of the things popularised by pop culture was talked about very less, such as the Jolly Roger. I also found that the fact there was hardly a mention of one of the more famous pirates being Sir Francis Drake to be quite disappointing. To conclude, I had mixed feelings about the book and on the whole, I would award the book a five on ten. This is a book part of the Hourly History series capturing the significant events of the life of the American Civil War hero and two time president, Ulysses S. Grant. The book starts with Ulysses S. Grant’s ordinary beginning; someone who was too timid and had no special skill but for his knowledge about animals and horse riding; eventually ends up in the military in exchange for free college education who eventually quit after the US – Mexico war. The book then talks about Grant’s failed ventures; be it farming or business. However, with the Southern States launching a rebellion in order to retain their right to keep slaves; little did the country expect to find an able general in Ulysses Grant whose success in the Civil War and keeping the Union together made him a national hero. The book ends with a short note on his presidency. The book followed the typical pattern the Hourly History series usually follows in case of covering a personality; that is, events being arranged chronologically and also covering every significant event. The book also gave a sufficient background to the Civil War and also focused a little on Grant’s personal views which were towards abolition of slavery. I have always found Grant’s rise interesting considering, the honour of leading the Union could’ve well gone to the opponent considering it was the Confederate General Robert E. Lee who was offered it first but chose to lead the Confederates since his home state Virginia joined the Confederates. 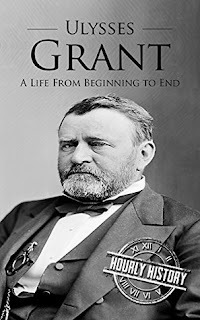 How Grant managed to maintain the Union was also something captured well, as to how he offered Lee rather liberal terms of surrender which ensured a peaceful post war transition. However, I felt the book could have concentrated a little more on his presidency, considering that his political career was scandal ridden but then, the book just touches upon them in barely a paragraph and I actually wished to know a little more about them but then, I guess I would have to rely on other sources to know more about them. Alas, it is ironic that I am reviewing about Ulysses S. Grant, the person who first gave voting rights to all regardless of ethnicity on the same day when Donald J. Trump is going to swear-in as the 45th President of the United States (in less than an hour from the time of this post, to be precise); a person who just seems too keen on dividing the country along ethnic lines. On the whole, I would award the book a rating of six on ten. This is a review of the book on Mayan Civilization released by Hourly History. Many would have heard of them because of their calendar by which there was a widespread belief that the world would end by the end of 2012 (there was even a movie with the same theme) for the Mayan calendar did not have beyond December, 2012. Some others, including myself, would have heard of them because of Age of Empires. For the rest, the Mayans were an ancient civilisation who inhabited much of the modern day Honduras, El Salvador, Guatemala and parts of Southern Mexico (north of which, I believe were the Aztecs). They are known for the complex pyramids and other structures that they constructed; the most notable being the Chichen Itza; a UNESCO World Heritage Site. Apart from that, they are also noted for the sophisticated cities they built and their contributions to astronomy and number system. The book touched upon all these aspects; starting with the origins of the civilisation and how they lived along with the other Mesoamerican civilisations. It then moved on to their first contact with Europeans (expeditions of Columbus) and eventually, the eventual conquest by Hernan Cortez. It also focused on the various traditions and how their rituals played a key part in maintaining order, be it in daily life or securing alliances or running a kingdom. 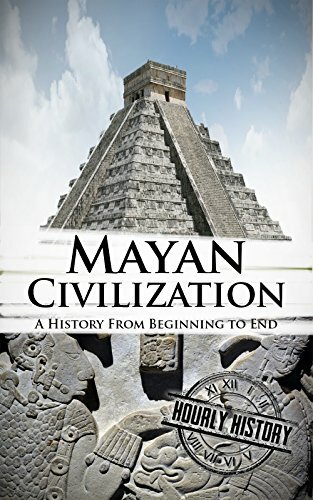 The book also dispelled notions that the Mayans were a homogenous group of people and in fact, had various city states and internal strife and also the fact that war and human sacrifice (usually of the defeated) was critical to please their gods. It concluded with the attempts being made by present day North Americans to revive their traditions and form a hybrid Christian – Mayan culture. I felt the book gave an excellent insight into the history but then, I also felt that it touched upon personalities who built the civilisations very little; for instance, when talking about Aztecs, one could immediately visualise Montezuma or Chuahtemoc and similarly, if there was some focus on Mayan personalities of the past, the book could have been better. On the whole, I would award the book a seven on ten. 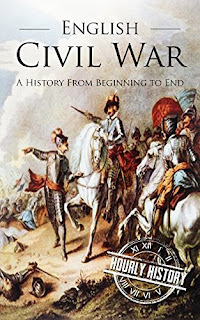 This is a book part of the Hourly History series explaining the English Civil War between the Parliamentarians and the Royalists during the 17th Century post the Union of Crowns following the House of Stuart from Scotland ascending the throne in England. The book starts with the events that led to the Civil War; such as the disappointment of King James I (James VI of Scotland) over the Parliament’s extreme control over the affairs of the country which was taken up by his successor Charles I who dissolved the parliament which eventually led to a bloody Civil War between those who supported the parliamentarians and those who supported the royals; not just in England, but throughout Great Britain and Ireland. The book was ordered chronologically and the factors that determined the allegiance of the society was explained well (primarily religion). 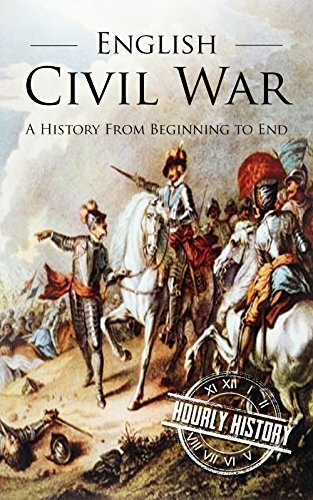 The focus on how each side tried to raise funds and gain support for the war was also covered well and I also liked the fact that the book, at the end of the day, managed to cover the English Civil War briefly over an hour. The only aspect which I probably missed was that I felt that the most prominent figure of the war (and also post the war); the Parliamentarian Oliver Cromwell, who went on to become the Lord Protector of England, Scotland and Ireland after the war; his role was barely covered in the book and also, I felt that the author could have added a paragraph on Cromwell’s subsequent rule post the war in the conclusion. This is a book about the Ottoman Empire as part of the concise Hourly History series. 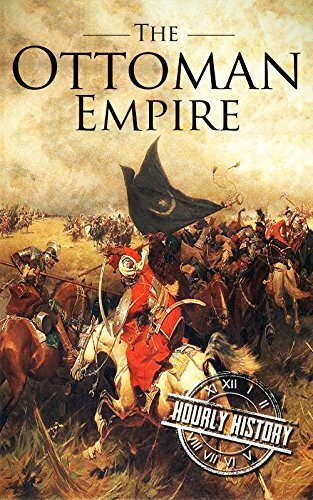 This book starts with the establishment of the empire by the Turkic tribes led by Osman which eventually overthrows the Byzantine Empire and takes over the city of Constantinople (present day Istabanbul) and establishes the Ottoman Empire; a realm which at its height expanded from Belgrade to Baghdad. The book started with the establishment of the empire, the eventual expansion to the Balkans and Arabia, how the empire embraced pluralism and the influence exerted by the Jews and the Armenians (till the genocide), broad description of various critical battles during the course of the Ottoman Empire such as the Battle of Lepanto (against the Holy League) and the Crimean war against Russia. It eventually went on describing the role of the Empire in the First World War; the defeat which led to the dissolution of the Empire leading to the Treaty of Sevres subsequently overwritten by the Treaty of Lausanne thereby ending the Ottoman Empire and forming the secular Turkish republic. The book was effective in bringing about the lifestyle and the system of guilds, the role of religion in the society and also touched upon some of the important events throughout the course of the existence of the empire. However, I was surprised to see certain misses, such as the sanjak system which was effective in controlling such vast diverse territory or about the ruthless janissary battalions or as to how the Ottomans expanded to Greece and how the Sultan actually made efforts to incorporate Greece as a part of Turkey by actually shifting base to Greece and I might have perhaps liked it if there was at least a mention of conversion of Hagia Sophia to a mosque after the Ottoman takeover. However, not all these could have been covered in an hour but certain compromises could have been done to the highly elaborate description on guilds and instead, one of these could have been incorporated. On the whole, the book satisfied the objective of passing on a lot of information in an hour and I guess it has served its purpose. I would award the book a rating of six on ten. British History in 50 Events is a book in the Hourly History series. The book was offered to me for free on Kindle on the last page of my copy of Adolf Hitler: A Life from Beginning to End by Hourly History and out of curiosity, I just continued with the series and read this book. The book starts from the time of Stonehenge till the 2012 London Olympics and the events are arranged in Chronological order. At least a paragraph is dedicated to nearly every major event in British history, such as Battle of Hastings, Armada, Industrial Revolution, Gunpowder treason, the Battle of Waterloo, Battle of Britain, etc. 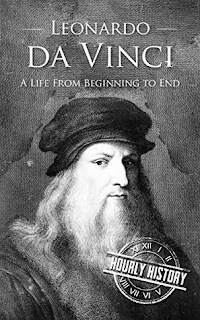 The book has done a good job of compressing nearly 3000 years into around 50 pages touching upon several significant events. But then, I have used the phrase ‘several significant events’ because a lot of important events were given a miss (the surprise miss being the lack of mention of Horatio Nelson). I also felt the author tried too hard to not show Britain in a bad light throughout the book such as; while the book tried to project the Hundred Years War as a status quo ante bellum, for all practical purposes, it was a defeat for the English considering the French managed to push them to a corner in Calais while managing to secure their kingdom and crown their king; the British exploits in their colonies also didn’t receive any mention and some of it even had a bearing on the Isles; the Iraq war was also conveniently given a miss and these are just a few that I could think of. Additionally, I also couldn’t avoid noticing that the author continued to refer to the country as England even for events after the Act of Union (example: the author refers to Falkland War as a war between England and Argentina) that beyond a point, I felt that I was reading something written by someone from the far right English Democrats Party. That is also perhaps the reason why there was absolutely no mention of Harold MacMillan, Tony Blair or Gordon Brown. 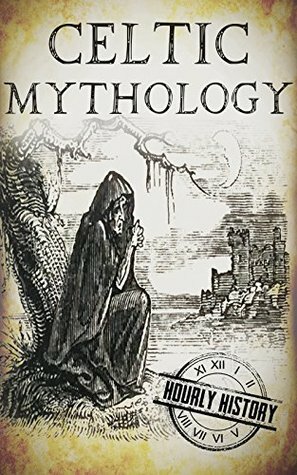 Despite the shortcomings that I have mentioned, I wouldn’t say that the book was so bad to warrant a four rating from me but I would award it a neutral five considering that it did manage to tell me the brief history of Britain in an hour. I stumbled upon this book owing to my inherent interest in history and also because it was offered for free on Kindle. The author (name is undisclosed) promised that it wouldn’t take more than an hour to read and thus, I felt it was a good idea to revisit one of the most controversial and most despised persons of all time. 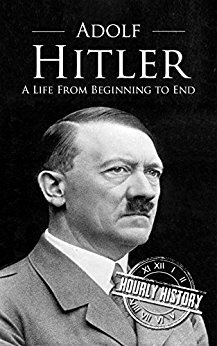 The book captures the entire life of Hitler, from his childhood, on to military service during the First World War, days in jail, eventual rise to power, the Second World War and the subsequent fall. I really appreciate the fact that the author maintained the chronology throughout. For me personally, this book was more like a quick revision as I have read the Mein Kampf and also a lot of text on the Second World War and this book was definitely helpful in quickly revisit the same. The author also covered some less known events such as Hitler’s failed coup and also, how he managed to gain absolute powers in a state that was actually a Democracy. The book would perhaps be drab only for those who would anyway not even be remotely interested in history and politics and to that extent; the author has done a good job to keep me satisfied. I wouldn’t point out on how the author could have been more elaborate on Hitler’s wrong decisions during the Second World War but then, if that was done, the purpose of a one hour history refresher would have been lost. I was really impressed by the idea and I appreciate that the book also managed to live up to the expectations generated out of the novel idea and in future, I guess I would even be willing to pay for the other books in the series. On the whole, I would rate the book an eight on ten. I have enjoyed Machiavelli’s quotes for a long time but I had never read a full-fledged work of his and thus, it was time I picked up his most well-known work. The Prince is a guide on how to manage and hold on to power presented by Machiavelli to his master, the ruler of Florence, Lorenzo de’ Medici. The Prince touches upon various subjects, the modes of power in various types of governments, monarchies governed through hereditary barons or those with appointed administrators, republics, church states and the challenges of holding power in each one of them. He also talks about how to consolidate power under various circumstances when you take over; such as by inheritance or by treachery or situations where it was acquired by pure luck. He also addresses certain questions as to whether it is advisable to be generous all the time, is neutrality during a conflict is a viable option and other very important questions which are very important even in today’s political circumstances. I liked how the author was absolutely indiscreet and managed to stay focused on the main objective, that is, how to hold on to power, regardless of whether it is ethical or not; explaining how generosity is not effective in the long run and people would tend to accept a mean ruler so long as the ruler is able to ensure stability and security of the realm. I also appreciated how the author substantiated each of his claims with popular examples, such as how Alexander of Macedonia held on to such a large empire, why the Ottoman Sultan was more secure than the French king and of course, his repeated praise of the controversial figure Cesare Borgia (son of Pope Alexander VI) as to how he effectively used his circumstances to muster power. 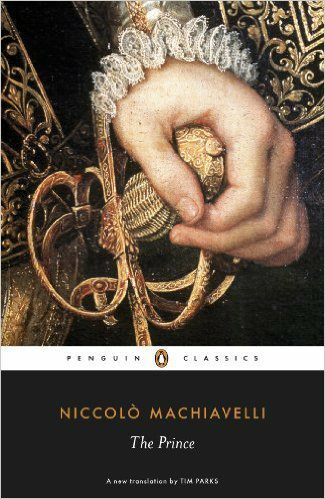 There was also a personal element to the book, where Machiavelli makes a rallying call for some leader to arrive who could unify the highly divided peninsula; alas, it could happen only 350 years after his death. The book is also very relevant to the extent that one of the most critical abilities even in present day, is the ability to exert influence on the people around you and what Machiavelli talks about could be employed by anyone regardless of whether they are engaged in politics or not. The only issue some readers might face with the book is that the author’s focus is always on the ends and never the means, regardless of how brutal or unethical the means were. Some of the concepts mentioned in the book may even be redundant today (such as a fortified city). Additionally, I personally didn’t agree with the author on the futility of neutrality, where the author opined that you could even pick the losing side for you would at least have their sympathy and support after defeat but a neutral is distrusted by neither which evidently doesn’t seem to be the scenario during modern times where the neutrality of Switzerland or Sweden during both World Wars (even though the latter is debatable) has not affected either of the countries post war. On the whole, I feel this is an excellent book, regardless of whether you’re interested in politics or not, as what the author talks about is applicable for most people in some way or the other. On the whole, I would rate the book an eight on ten. 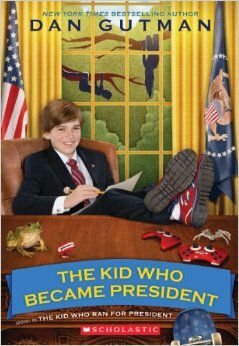 I got to know about this book following the inadvertent promotion of its prequel by John Oliver owing to the similarities of the kid’s campaign with that of Donald Trump, who unfortunately is now prefixed with the term President-elect. I thought I could get a glimpse of how the future would be under Trump considering how the author had serendipitously made an accurate depiction of the future; through the kid, Judson Moon’s campaign, which happened to be very similar to Donald Trump’s own campaign. So, the book starts where it left off, and Judson Moon, the Kid who ran for president decides to go back on his promise of not taking up presidency, like a typical politician and thus, decides to become the President of the United States and he wanted to do something and make a difference, only to realise that it wasn’t as easy as he thought. This book did a good job in bringing out how the Government actually works and what are the responsibilities and powers of the President and it perhaps does a better job at explaining than any book in school would probably be able to do. The author also did a good job at bringing out the difficulties of a President and how the President is not exactly a King and the book is about Moon’s struggle to manipulate the popularity ratings and stride through the Presidency. However, I felt that the author, treating the campaign as a joke in the prequel was a good idea but then, the author continued to treat the Presidency in the same fashion, and a lot of supposedly presidential issues that came to Moon were true to his age, very childish and I shall not be revealing the exact details of what the issues were lest I end up revealing spoilers. Despite that, I felt that this book qualifies for an excellent light read for an adult and a good book for children to read, particularly children from the United States. The book, however, did not live up to the expectations set by its prequel and thus, I would be awarding the book a rating of five, considering it was neither too bad nor did it have anything noteworthy and I hope, Donald Trump, when he takes up office; does the sensible thing like what this kid does, towards the end of the book. ‘MIKE MAHI DARES TO BE DIFFERENT. Not for him the well-trodden path of his ancestors, their small lives lived out in the confines of a colliery. He dreams of getting into a larger world, of being in a profession that commands respect, chartered accountancy, and his struggle to rise to its topmost echelons. One night, it all threatens to come crashing down. In a rogue bank that Mahi audits, there are charges of incompetence, insider trading and misconduct against him. The case moves to the court. 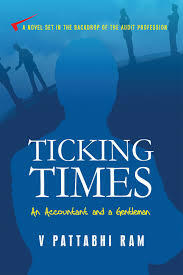 Ticking Times is a novel written by the first time author Pattabhi Ram (at least, for fiction) and the plot is set in the little world of the audit profession. Even though I normally don’t disclose my prior association with the authors in my reviews, I would have to disclose it here to bring it in context for; I was interested in reading this book since I was one of the authors students, myself. The plot moves across different timelines and it begins in the present day, where the now successful Chartered Accountant Mike Mahi is listening to breaking news, where a major client of his is caught in a financial scandal amounting to Rs. 500 million. Then it goes on to say how Mike managed to climb the ladder from his humble origins as son of a colliery worker and going to become the President of the regulatory body of Chartered Accountants. On the other side is the prolific journalist, Tejas Arya, Mike’s rival since college days; who is exposing the scandal. The story moves back and forth in time, explaining how Mike built his empire and the tangled web he is stuck in between as a result. I found a lot of things the author touched upon to be interesting; such as the audit procedure and techniques mainly because I was able to relate to it. I also felt that it is commendable that the author took considerable efforts to reach out to as many people as possible by explaining each of the technical details in a verbose manner, be it on derivative trading or audit procedure. However, I would have to say that despite his efforts, it is likely to cater only to those in the same profession as that of the author as; in order to make it readable for everyone, the author very often ended up quoting auditing standards and concepts of financial management that I was beginning to feel that I was reading for an exam. Apart from that, I also felt that the author really had no concrete story to tell, he started on a high, by breaking the financial scandal but later, it shifted to the past of the two main characters and it went on for so long that the readers might forget that Mike was caught in a scandal. Moreover, the author talks about how Mike was a well-known figure to the extent that most people know about him even though, in reality, I have hardly known a president of a regulatory body known to a sundry passer-by. Ultimately, I wouldn’t want to comment on the verdict of the court on the financial scandal but I would say this much that I found it a little unrealistic. To sum it up, it is good effort, considering it is the first published fiction of the author and I would definitely look forward to more. To comment on this book, I would say that this book would probably appeal only to Chartered Accountants and aspiring Chartered Accountants. I would award the book a rating of four on ten.